Explore Brisbane's surroundings by going to Warner Bros. Movie World (in Oxenford) and Sea World Theme Park (in Main Beach). 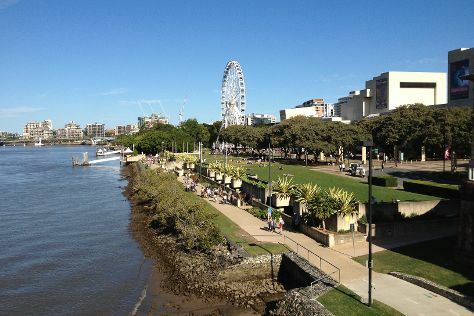 There's lots more to do: stroll around South Bank Parklands, admire the natural beauty at Roma Street Parkland, make a trip to Wheel of Brisbane, and look for gifts at Noosa Chocolate Factory. To see maps, traveler tips, other places to visit, and more tourist information, you can read our Brisbane holiday planning app . Manila, Philippines to Brisbane is an approximately 11.5-hour flight. You can also do a combination of bus and flight. Due to the time zone difference, you'll lose 2 hours traveling from Manila to Brisbane. In May, Brisbane is much colder than Manila - with highs of 27°C and lows of 15°C. Cap off your sightseeing on the 13th (Mon) early enough to travel to Sydney. Spend the 16th (Thu) exploring nature at Sydney Harbour National Park. 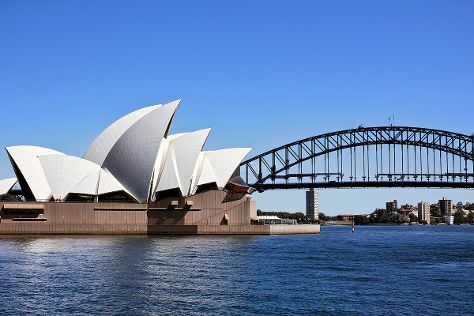 There's much more to do: catch a live performance at Sydney Opera House, wander the streets of The Rocks, take in the views from Sydney Harbour Bridge, and meet the residents at Sea Life Sydney Aquarium. To find maps, where to stay, traveler tips, and other tourist information, read Sydney trip planner. Traveling by flight from Brisbane to Sydney takes 4 hours. Alternatively, you can do a combination of bus and flight; or drive. In May in Sydney, expect temperatures between 24°C during the day and 14°C at night. Wrap up your sightseeing by early afternoon on the 18th (Sat) to allow time for travel back home.